Spring sports and activities are here, which means that the risk of getting hit and chipping a tooth is increasing by the day! However, even those who don’t participate in soccer or baseball can end up with chipped teeth, especially If your enamel is weak. Whether it’s because you didn’t make that left field catch in time, or you slipped in the kitchen in just the wrong spot, a chipped tooth can be painful and annoying to deal with. The first thing you should do after you’ve injured a tooth is assess the damage. Is it just a minor chip, or is it a crack down the middle? Is it painless, sensitive to the touch, or does it hurt constantly? The best thing you can do for a damaged tooth is consult your dentist, but these factors will determine the severity of the damage and how quickly you should make an appointment. For any damage that is painful or sensitive, call us as soon as possible (757-609-3570) – cracks and breaks can become worse over time, and addressing them early on will prevent even more pain and complicated procedures. Minor chips can be painful if they are sharp against your tongue, but there is no need to rush right over to the office. Schedule an appointment and one of our doctors can perform tooth bonding to correct the issue! If you experience a broken or cracked tooth after office hours, treat the problem like you would any other wound until help is available. Rinse with warm water, apply pressure to bleeding areas, and consider pain reliever and icing on any painful areas. 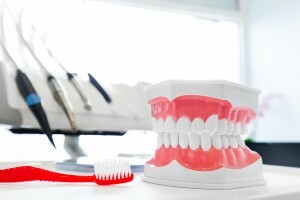 Thankfully, there are plenty of options to fix your damaged tooth and help it appear like-new! Call or contact Vacendak Dentistry today to learn more about the cosmetic procedures we offer and to schedule a consultation. This entry was posted in Cosmetic Dentistry, Dental Care Tips on April 17, 2018 by Vacendak Dentistry. If you have missing teeth, you are not alone. Many people, especially as they age, lose their teeth to decay, bone resorption, and different types of oral trauma and injuries. Missing teeth not only affect your appearance, they can also make chewing and even speaking far more difficult. Patients come in all the time with concerns about their options for replacing teeth. While every circumstance is different, these are three main solutions. 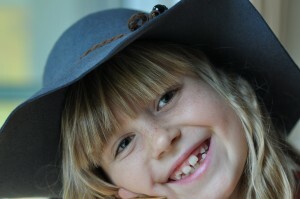 One tooth restoration option is a fixed bridge. This is placed by the dentist over the course of multiple visits and involves filling the toothless space with one or more new “teeth” by cementing them to adjacent existing teeth. Creating a bridge requires the dentist to grind down the adjacent teeth. Also known as a removable dental bridge, partial dentures have a gum colored base, that attaches to adjacent teeth (no grinding down required) via clasps or precision attachments. Partial dentures are less expensive than other tooth replacement options but don’t always offer the same comfort or aesthetic appeal. For those who are missing most or all of their teeth, complete removable dentures are often the trusted choice. Since full dentures cover the entire existing gum area, they require quite a bit of getting used to. Learning to insert the dentures properly, clean them, and eat/speak efficiently are challenges that your dentist can help you surmount. A good experience with complete dentures starts with well-fitting prosthetics and a caring dental professional who will take the time to prepare the patient. We get many questions from patients about dental implants, which have become increasingly popular for tooth replacement in the past few years. They are an effective long-term option for people who are in good health. The primary part of the implant is the titanium post inserted into the gums. Once the gums and jaw bone osseointegrate the post and healing occurs, the dentist then places a specially formed tooth or bridge (in the case of multiple missing teeth) on top of the implant. Since inserting dental implants is a minimally invasive procedure, you and your dentist should consider the pros and cons of your unique situation carefully. If you have one or missing teeth, one of these options may be right for you. Avoid losing additional teeth by practicing good oral hygiene, protecting yourself during contact sports, and talking to a doctor about how to ease bone loss. Call Vacendak Dentistry in Chesapeake today to schedule appointment with our caring, compassionate team. We work with most insurance companies to make tooth replacement an affordable, positive experience. This entry was posted in Cosmetic Dentistry on May 17, 2016 by Vacendak Dentistry. Dental patients in need of a filling face the choice between an amalgam metallic alloy or composite resin filling. These filling classes are often referred to as “silver” and “white” because of the distinctive color variation. There is more difference than color however, as with most things in life there are pros and cons that need to be considered. For instance an amalgam filling will often cost less than a composite variant, but also has the chance of staining teeth over long periods of time. And while composite fillings match the color of most teeth almost perfectly, they require more maintenance at home and last roughly half as long in comparison to amalgam. These fillings are comprised of a mixture of copper, silver, tin and mercury, have been used for more than one hundred years and are inexpensive and easy to install. Amalgam fillings are completely safe according to the FDA despite their use of mercury. They can be applied nearly everywhere and when treated properly (routine brushing) fillings will last roughly twenty years; although discoloration can occur over time and darken or stain teeth. A composite filling is often used when a client is concerned with the look of the affected tooth. The advantages are more than just cosmetic, composite fillings can be used in smaller areas (whereas an amalgam filling has a minimum size requirement) and these fillings will not stain teeth over time. Composite fillings however, will only last around ten years if maintained properly (regular brushing, flossing, and minimal grinding of teeth) due to the fact that the material is much softer than amalgam. Additionally, administering a composite filling requires a completely dry environment and can be difficult to install in some patients with above average saliva output or sensitive gums that may bleed. If you are in the market for new fillings, speak with your dentist to see what option will fit your needs best. This entry was posted in Cosmetic Dentistry on April 2, 2015 by vacendak. Did you know that on average, adults between 20 and 64 have three or more decayed or missing teeth? Besides being a cosmetic issue, large spaces between teeth can affect speaking and eating. Teeth adjacent to the missing tooth will move over time, causing bite problems and could potentially lead to bone loss. Thankfully, there are options that can preserve your smile. An implant is most like a natural tooth. An artificial tooth root is implanted in your jaw to hold an artificial replacement tooth. Implants work best in patients who are in otherwise good dental health and do not have periodontal disease. Bridges anchor to adjacent teeth, and can be permanent or removable. Rather than being implanted, the bridge is cemented to the natural teeth on either side of the gap. Depending on your dental health and cost considerations, a bridge might be a better option than an implant. There are many different types of bridges depending on which tooth or teeth are being replaced, what material is being used, and your current dental health. Dentures are for people that have lost a number of teeth, or who have advanced periodontal disease. Sometimes partial dentures can work with remaining healthy teeth. If you have concerns about missing teeth, talk to us at your next dental check-up and we can discuss your options. This entry was posted in Cosmetic Dentistry on January 20, 2015 by vacendak. During the holiday season, there are endless photo opportunities with family and friends. And of course we all want to look our best! If you want a beautiful, bright, white smile for holiday photos this year, now is the time to make an appointment for professional whitening. Teeth become darker and yellower as we age, and regular use of tobacco, coffee, or red wine can cause staining. Properly Fitting Mouth Trays. Over-the-counter tooth whitening trays are one-size-fits-all. Poorly fitting trays may allow the tooth whitening gel to leak, which can result in gum irritation and less-effective whitening. More Comfortable Solutions. With today’s in office systems, even people with sensitive teeth can undergo teeth whitening treatment. If you want to look your best in holiday pictures, call us for an appointment today! This entry was posted in Cosmetic Dentistry on November 18, 2014 by vacendak. DIY Teeth Whitening, Yay or Nay? Everyone wants white teeth. The bright white smile is a long-standing fashion trend, and if you spend any time on Pinterest, you’ve probably seen a number of “DIY Teeth Whitening” pins that guarantee to whiten your teeth at home for only pennies. As with many things in life, most of these home whitening recipes are too good to be true. Some of them may not do much to lighten the color of your teeth, and at worst, they can actively damage your teeth and gums. One of the most common ingredients in these DIY recipes is hydrogen peroxide. While hydrogen peroxide is an effective whitening agent, if you use too much you can actually damage your teeth and expose the yellow colored dentin underneath. Dentin is a hard, yellow substance that surrounds the pulp at the center of your teeth. It shows through the enamel, which is why most teeth appear slightly yellow. Furthermore, hydrogen peroxide is extremely irritating to the stomach. If you accidentally swallow it, you could be in for a bad tummy ache and a burning sensation in your throat. Another popular ingredient in home whitening recipes is activated charcoal. While not as potentially harmful or poisonous as using too much hydrogen peroxide, it is largely ineffective. Even after using it for several days most people see little to no improvement in the color of their teeth. Ultimately, having whiter teeth isn’t worth the risk of doing permanent damage to your teeth. If you’re interested in a bright white smile, talk to us at your next dental check about what options are best for you. This entry was posted in Cosmetic Dentistry, Dental Care Tips on August 21, 2014 by vacendak. Dental bruxism, also known as teeth grinding, is a common dental problem that results from stress, misaligned teeth, and/or an adverse reaction to certain antidepressant medications. Bruxism is most common in women between 20 and 40 years of age, but it also affects a significant number of adult men and children. Nearly a third of parents report teeth grinding in their children, though bruxism in kids typically ceases by age 13, or when all adult teeth are present and accounted for. And did you know that grinding isn’t the only characteristic of bruxism? Jaw clenching also qualifies. Not surprisingly, nighttime teeth grinders are often daytime teeth clenchers, especially during stressful workdays. Teeth grinding generally happens while we sleep, which is why many people don’t know that they are “bruxers” until diagnosed by a dentist (or told by a sleeping partner who is kept awake by the sound of grinding teeth). Are there other ways to detect bruxism? Yes. Treatment for chronic teeth grinders varies based on the cause of the disorder. For bruxism secondary to stress, we typically recommend a temporary night guard and stress management. Sometimes all it takes is a change in diet and sleep/exercise habits to calm the stress response, while others should seek professional help to discover the source of their anxiety. For bruxism that stems from misaligned teeth or jaw disorders, we also recommend a night guard in addition to orthodontic work to correct the misalignment. If medication is causing the bothersome teeth grinding, we will likely fit the patient for a night guard and suggest that they talk to their prescribing physician about new medication or a different dosage. If you suspect that you are grinding your teeth, it’s important that you see a dentist as soon as possible to pinpoint the cause, relieve the pain and fix any oral damage that the grinding has caused. Call or contact Vacendak Dentistry’s Chesapeake, Virginia location to set up an appointment and take advantage of our commitment to compassionate care. 757.609-3510. This entry was posted in Cosmetic Dentistry, Dental Care Tips, General Dentistry and tagged bruxism, general dentistry, night guard, teeth grinding on December 12, 2013 by vacendak.